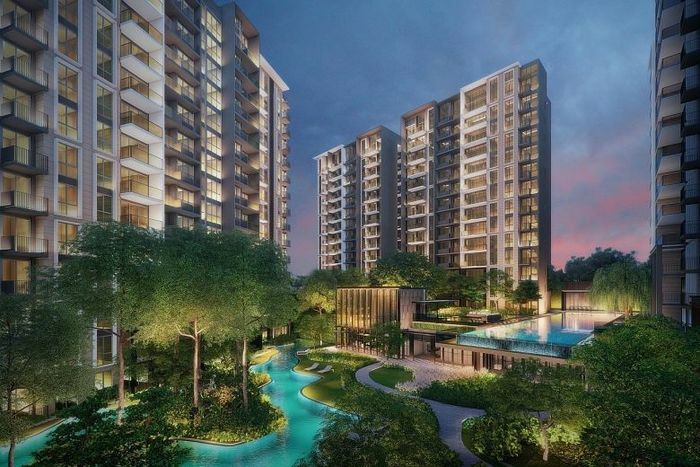 Park Colonial, a new condominium in the Bidadari enclave and next to Woodleigh MRT station, will hold its public preview from this weekend with sales to start on July 14. Jointly developed by CEL Development, Heeton Holdings and KSH Holdings, the estate on a land area of 19,547 sq m will comprise six towers with 805 residential units. The one-to five-bedroom units will be priced at an average of $1,700 per sq ft; one-bedders will start at around $780,000, two-bedders are above $900,000. The 99-year leasehold project, with a British colonial-inspired design, is scheduled to be completed in 2022. It will house more than 50 facilities, including a 10m-tall clubhouse, a 50m cantilevered lap pool and an al fresco dining terrace. Nearby facilities include Nex shopping centre, the Serangoon bus interchange, Paya Lebar Central and the upcoming 10ha Bidadari Park. The 60:20:20 joint venture between CEL, Heeton and KSH respectively clinched the site last July with a winning bid of $1,110 per square foot per plot ratio. The launch of Park Colonial will come ahead of the launch of Singapore Press Holdings' joint venture project with Japanese developer Kajima Development, The Woodleigh Residences and The Woodleigh Mall, which is slated for later this year. The Woodleigh Residences will feature Singapore's first air-conditioned basement bus interchange. Mr Raymond Chia, executive chairman and group chief executive of Chip Eng Seng Corporation, CEL's owner, is confident that Park Colonial will garner "very strong interest" when its show units open for public preview on June 30. He added: "In real estate, it's always about the location. The development is right next to Woodleigh MRT station, near amenities, expressways and adjacent to the up-and-coming Bidadari town. "With the en bloc fever showing no signs of abating, we also expect that a large number of home owners from the recent en bloc projects will be looking for new homes as well." Touted as "the next Bishan" because of its central location, Bidadari estate is developed as part of Toa Payoh town, bounded by Bartley Road, Sennett Estate, Upper Serangoon Road and Mount Vernon Road. More than 11,000 residential homes are in the pipeline. The first batch of Build-To-Order flats in the neighbourhood was rolled out in 2015 and has remained in high demand every year. Three new roads - Bidadari Park Drive, Alkaff Crescent and Woodleigh Link - were partially opened this year to service the area.